SATRON VO turbidity and solid content analyzer is suitable for the measurement of different liquids. Turbidity, as well as colors and solid content matter can be measured. Configuration and calibration can be done by the analyzers own user interface; or by PC software through HART® communication. Satron VO is also available with a remote display. 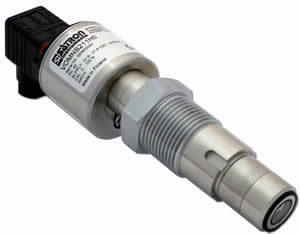 This Satron product also provides other process connection solutions for VO, e.g. PASVE®. The analyzer communicates digitally using the HART protocol. 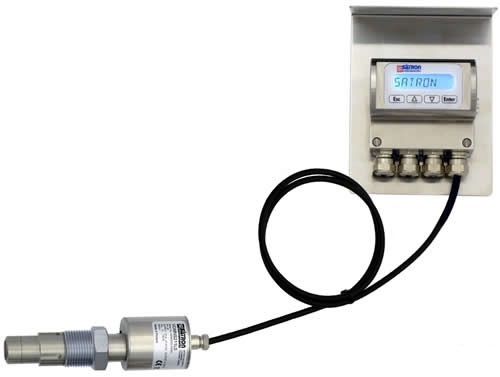 The Satron VO transmitter remote display unit can be installed up to 10m away from the sensing unit. Inside the Display unit is a terminal for up to 3 binary inputs, 3 relay outputs and 2 analog milliamp loops. All connections can be used simultaneously. Intuitive, menu driven interface features include simple set-up, calibration and troubleshooting functions. The Satron VO has proven to have excellent reliability without failures. Depend on Satron VO for a reliable and maintenance-free consistency measurement. When you want to have all the operations of the Smart transmitter, we recommend the use of Satron-VO advisor Service Software program. Conmark Systems can deliver you the optional program, HART-modem and HP-2133 Mini Note PC.